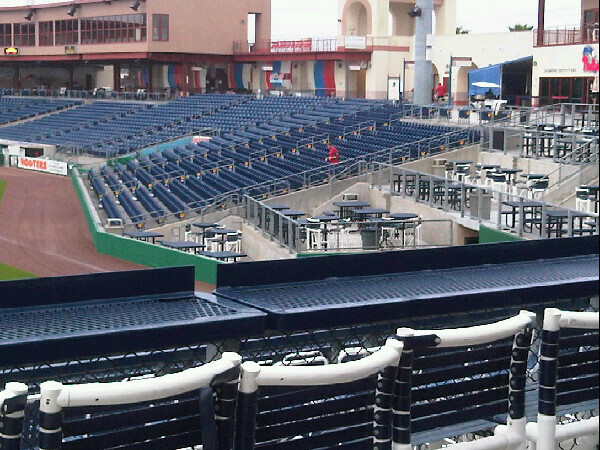 From a trusted Twitter source comes this photo of Roy running the stairs at Brighthouse Field at 5:30 this morning. And get this, according to said source, Roy had been there for over 2 hours already and was roughly on his 83rd circuitous lap around the complex. It would seem that yesterday's two innings of ho-hum scoreless work weren't quite enough. And as great as all this is, it gets even better when you realize that CLIFF LEE is pitching today for the Phillies. To think- three months ago the preceding sentence would have seemed like ZWR fan fiction, but I'm not even kidding. Spreadshirt was cool enough to put together a special ZWR exclusive spring training promo for me: Free Shipping on $30 or more if you use the code 'R2C2' at checkout. He has tiger blood, too. WINNING! roy has a well focused hatred of the stairs. either they give, or he will.